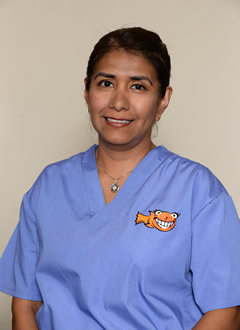 Irma started her career in the dental field over 12 years ago. Since the first day working in a dental office she has enjoyed helping patients from scheduling appointments to explaining their treatment plans to them. She is one of the kindest people out there; when you walk into our office her smiling face is one of the first things you see. She is a dedicated hard worker who helps patients as soon as they walk through our doors until they leave; she makes sure their experience is a great one. Jackie found her way into the dentistry field through her passion for helping others. After graduating high school, she became a registered dental assistant working chair side in general dentistry. During the eleven years she has also gained experience working at the front desk. 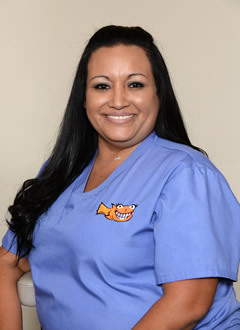 As a patient coordinator, she enjoys working with the wonderful team at Pediatric Dental Arts, as they all share the same loving and caring attitude towards all our patients. Jackie says the most rewarding part of her job is contributing to ensure the best possible experience for our patients. From the time they walk in, to when they leave. Jackie continually strives for excellence in all she does at Pediatric Dental Arts and works to build a trust with all patients and employees. 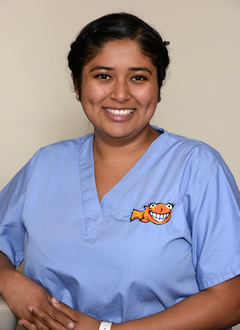 Marisela is a Registered Dental Assistant at our office. She has over 20 years experience in the dental field. 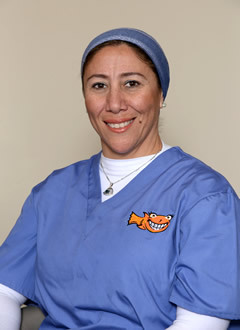 She has been working with Dr. Fishman for 8 years. Marisela is also bilingual and with Spanish her first language, she helps our Spanish speaking patients. The most rewarding thing for her is helping the doctors in changing kids a child’s smile. 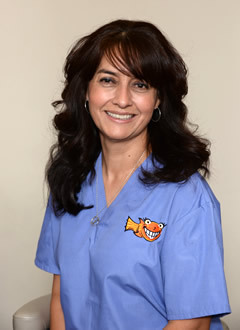 Christina has worked at Pediatric Dental Arts as a Registered Dental Assistant since 2012 and has over 20 years experience. Christina continues to perfect her skills through many hours of continuing education every year. While under her care, patients can be assured that their comfort and care is her primary concern. In her spare time she enjoys spending quality time with family. Elizabeth is a Registered Dental Assistant. She joined our team in 2013. She is a 2012 graduate from Cerritos College Dental Assistant Program. She is certified in radiology, CPR, coronal polishing, and pit and fissure sealants. 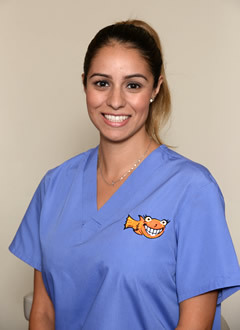 Elizabeth works with our patients in pediatric and orthodontic dentistry and enjoys both areas of the field very much. She is also bilingual, and she is currently furthering her education as she is working on getting her Bachelors in Biology to pursue her dream of also becoming a Pediatric Dentist. Elizabeth knew since she was in middle school that the dental field was her passion, and takes pride in providing her patients with a comfortable and positive dental experience. 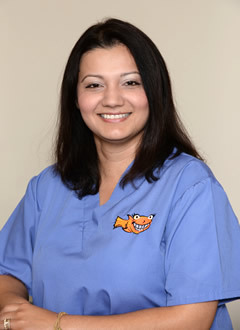 Noha always enjoyed going to the dentist as a child, which eventually led her down the career path of a Certified Dental Assistant (CDA), orthodontic Assistant and X-ray technician. She strives to build relationships with her patients and finds their trust very important and rewarding. Going to work every day is a new experience and another opportunity to ensure her patients feel comfortable and leave happy. She really enjoys working with our great group of people, but the best part of all is the children. She feels blessed to be working with such an amazing team here at Pediatric Dental Arts. Cindy is a dental assistant that is on her way to earning her RDA. She understands the trust and relationship of all the patients and their parents is the most important. Every day she looks forward to seeing the smile on children’s face. 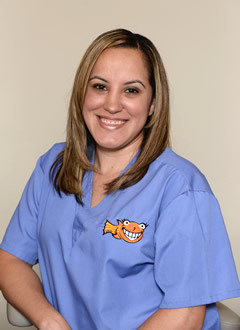 Cindy’s goal is to make sure that every child that comes to Pediatric Dental Arts walks out with a huge smile. Kristie is an RDA, orthodontic assistant. She has over 15 years experience working in Ortho. 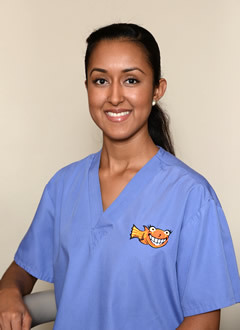 She enjoys building relationships with our patients as they go through their orthodontic treatment. She feels blessed and lucky to be able to have the opportunity to work at Pediatric Dental Arts. She is always dedicated to treating our patients as if they were her own. Michele attended Long Beach State, but learned that her passion was in Dentistry after wearing braces for three years. She always knew that her path would be in helping and caring for people, as she does for her own two children. She is committed to making you feel comfortable and making your smile perfect.